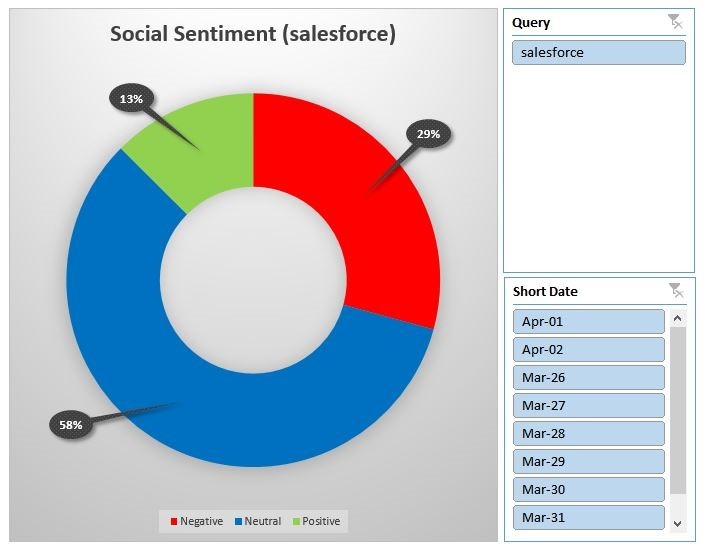 How does Social feel about @Salesforce this week? Not to good. I used my @MSExcel sentiment function to create this.